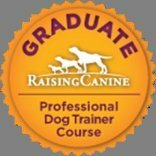 Behaviours like growling and biting is a learned behavior that serves a purpose to the dog. Some dogs seek more attention from people by forcing the matter. These dogs tend to bite when the right trigger is present. Most of these we as humans can make worse because of our communication skills. You are the one that determines reinforcement for your dog. Your dog can get reinforcement from his environment apart from you, those behaviours are often once that is unwanted by humans. Like digging in the trash can is immediately reinforced by what ever the dog finds. You have to teach your dog that you are the reinforce r there for you are important to your dog. Your dog will learn that you determine the consequences of his behaviour good or bad. You have to be consistent in what you want from your dog. If your dog wants something from you, you ask something of your dog first and there for he gets the reward which was what he wanted in the first place but now he earned it. This works with a attention seeking dog, which would include things like lifting your arm to be touched, putting his head on your lap, pushing other dogs away from you so that he is the only one that gets attention or a fearful dog. One way of training your dog is by not rewarding him but only asking of him. This is not good leadership by you as the owner. The other way would be to let your dog get his way and you comply. This as well is not good leadership seeing that your dog lives with you and not you with him. As with everything in life, kids, work, dogs etc we need a balance. You need to be a genlte but focused leader and you will then create a good follower. You should lead in such away that your dog thinks it was his idea to get what he wanted. If your dog wants to go outside or inside ask him for a sit and then cue your dog to go play or go out side, that would be his reinforcement to sit and also acknowledge that he needs you to get what he wants and this comes in handy with re call training. This will let your dog feel at ease, he knows what is expected of him and wont react to situations with growling and biting behaviours as he used too as he will be more secure and less anxious. If your dog is really pushy and walks over to you with flinging your arm up so that you should pet him. Fold your arms and turn your back on your dog, even walk away. When your dog is then in a relaxing position call your dog over to you and give him attention so that you determine when your dog gets attention. If you have a dog that bites and you are busy with the training that I mentioned above use a muzzle when you put this dog with other dogs. It is not fair to another dog if you know this dog bites to not use a muzzle. A muzzle is a training tool. It does not fix the problem but it helps you to control biting when you are not able to stop the behaviour the moment before it was triggered. When first using a muzzle put something in it that your dog would like to lick for only a few seconds do this a couple of times so that your dog can get used to the muzzle. If your dog growls, never tell your dog not to growl. Growling is a warning sign to you and the other dog if you defuse that the dog would go straight into biting. Rather ask your dog for a sit when you see your dog starting to change his body language or growls so that you can redirect the behaviour. If your dog does bite, put him in a space where he can be alone for about 30 seconds without you fussing over the dogs. If you fuss over the dog or even scold the dog you can reinforce the behaviour. A dog uses behaviour like biting to see if it will work by inflicting pain or fear. If the results are to the dogs liking he will use it again. Here are a few triggers that could cause these behaviours. This would form part of your dog's environment. You should work on changing your dogs response to his environemt if you are not able to change his environment.